7/16" Crown galvanized staples that fit Bostitch H30-8 Hammer Stapler. 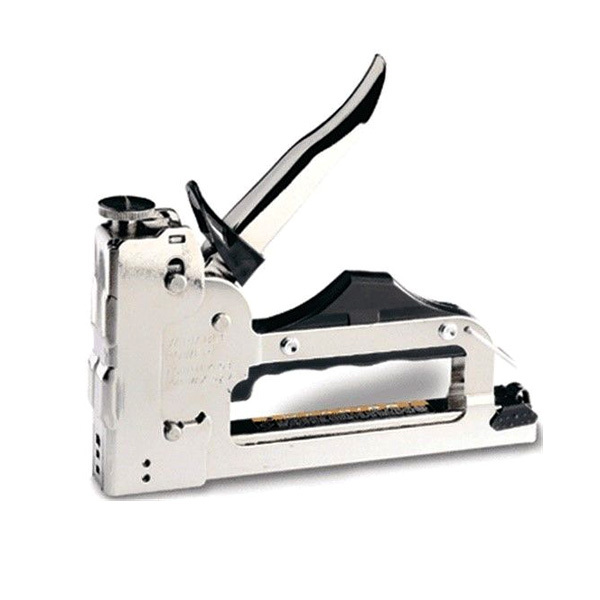 This light wire automatic long magazine stapler is loaded with features you want. It is fast, easy to use and maximizes your efficiency on the job. This tool is for use with 5/8 in. to 1/4 in. staples. Staples come packed 20 boxes per case. Each box contains 5000 staples. 1/2" Crown, 3/8" Length. Fits the Duo-Fast Stapler Tacker DF-859. Staples come packed 20 boxes per case. Each box contains 5000 staples. 1/2" Crown, 5/16" Length. 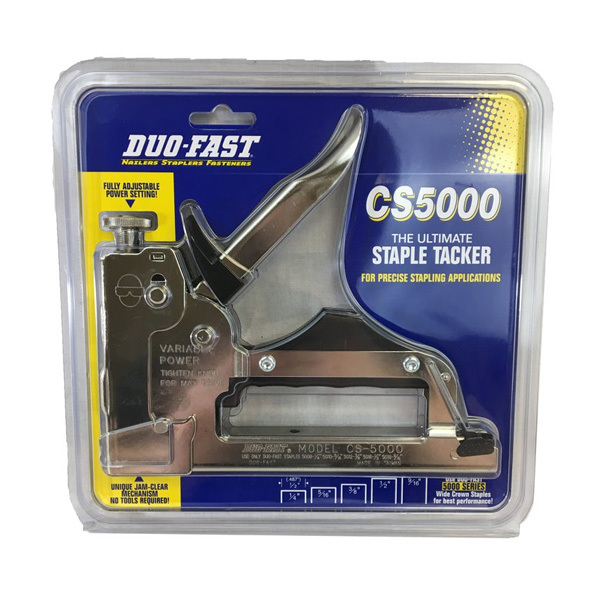 Fits the Duo-Fast Stapler Tacker DF-859 & Duo-Fast Hammer Tacker DF-550.